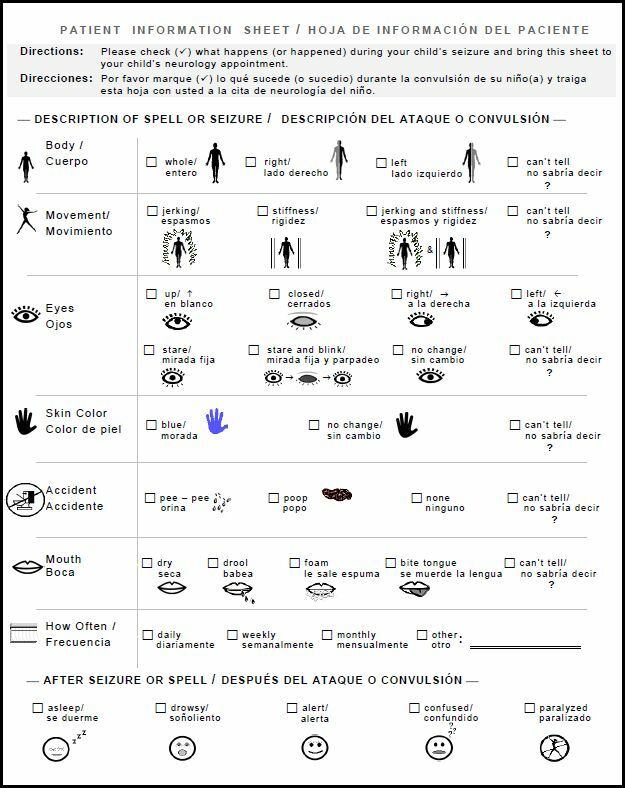 The use of tools to promote better communication and provide accurate information to insure the safety and inclusion of children and youth with epilepsy has been a major focus of the work in this project. 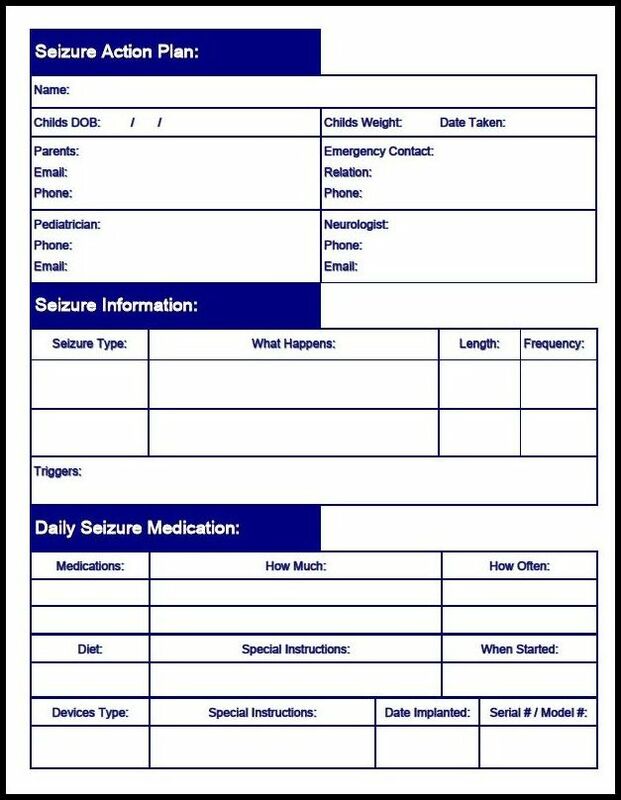 Seizure Action Plan – provides an overview of a child’s seizures, list medications and identifies how to provide assistance in the case of a seizure. Since each child is unique, the information is tailored to meet the unique needs of the child. 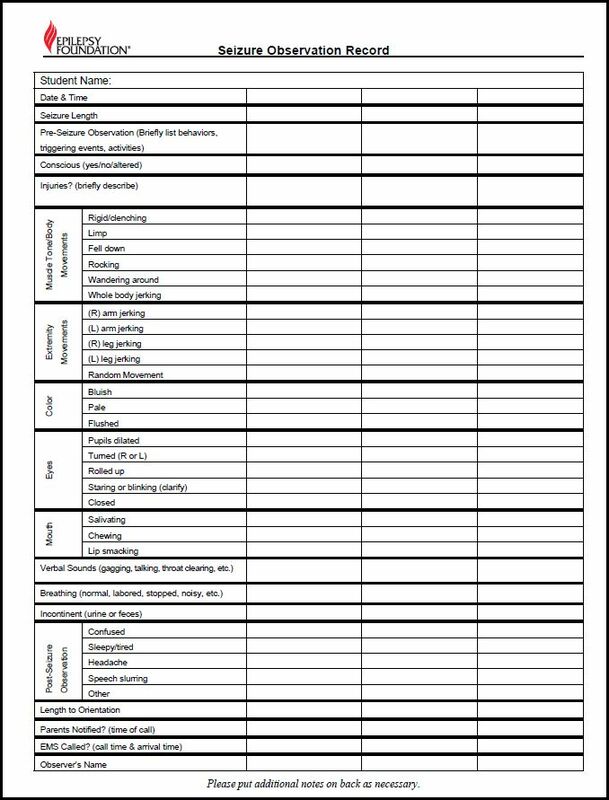 Medication Administration: The administration of medication, particularly emergency medications, has been a frequent topic of discussion, raised by parents and providers alike. The following resources have been developed and / or identified to answer questions and concerns. 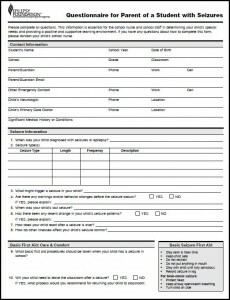 ♥ Do you need to train other staff within school or child care? NH Family Voices has training mannequins and kit utilized in the medication administration videos available for use by school nurses in NH. 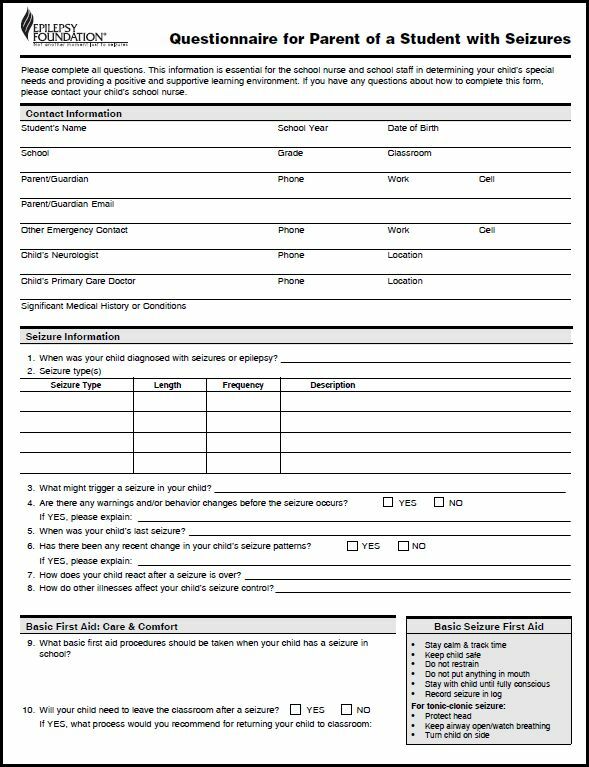 If you would like to borrow them, please contact Sylvia Pelletier at (603) 271-4525. 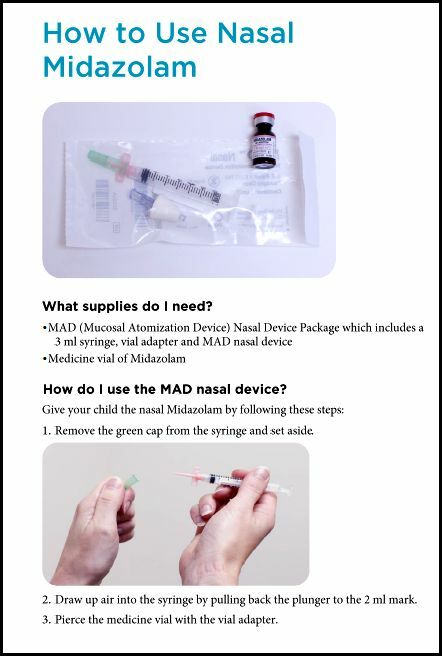 ♦ Susan Gaelic, RN, from Dartmouth-Hitchcock Pediatric Neurology, demonstrates the administration of intranasal midazolam. 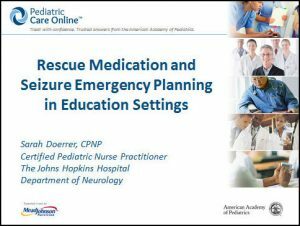 Rescue Medication and Seizure Emergency Planning in Education Settings – Learn about seizure emergency and school action plans, medications and considerations, IEP and 504 plans, and community resources to help parents with medical care in their child’s school. 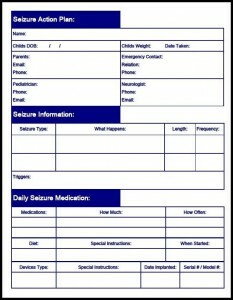 Sarah Doerrer, Certified Pediatric Nurse Practitioner from The Johns Hopkins Hospital Department of Neurology, discusses seizure emergencies and seizure action plans, including an overview of medications and considerations. 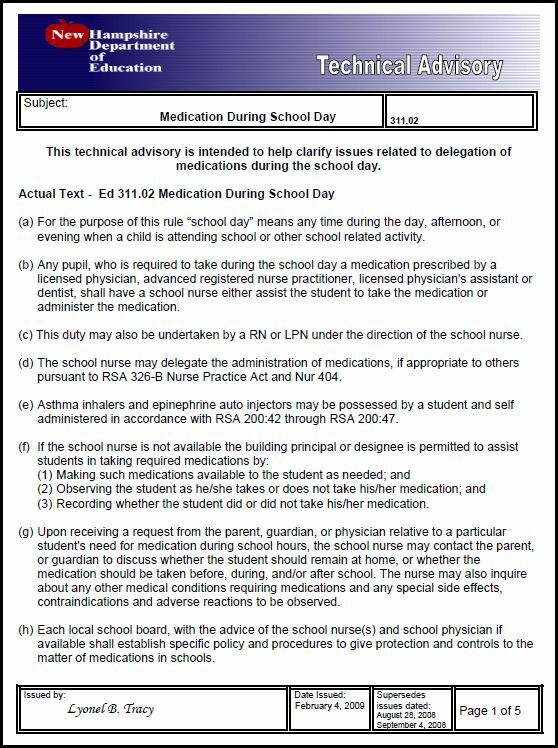 NOTE: Under the Nurse Practice Act in NH, administration of emergency medications for students with epilepsy (most often Diastat and Midazolam), can be delegated to unlicensed personnel, if appropriate for that student. 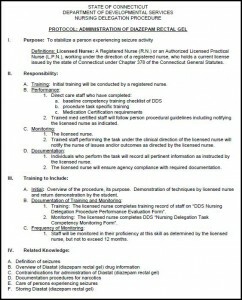 Refer to the video presentation featuring Tracey Collins, DNP, RN, CNRN, NEA, “What is Delegation? 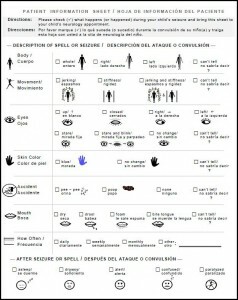 How Can It Be Used?” for additional information. 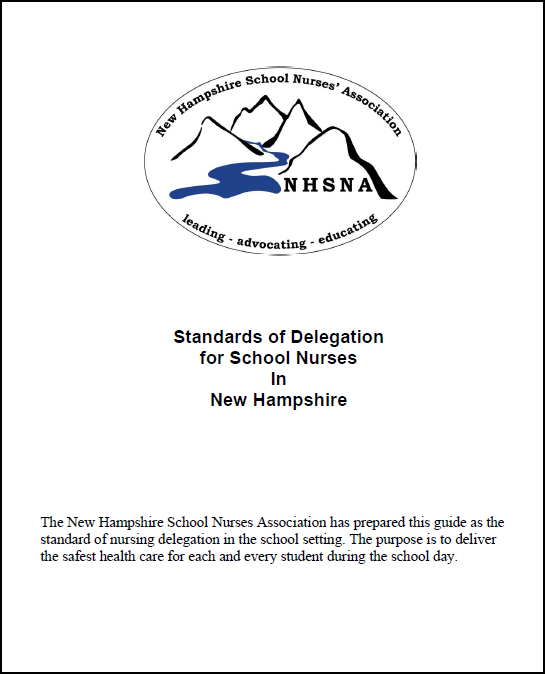 Standards of Delegation – A Guide for New Hampshire School Nurses The New Hampshire School Nurses Association has prepared this guide as the standard of nursing practice in the school setting. 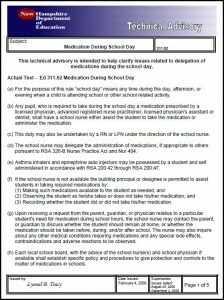 Medications During School Day, NH Department of Education: This technical advisory is intended to help clarify issues related to delegation of medications during the school day. 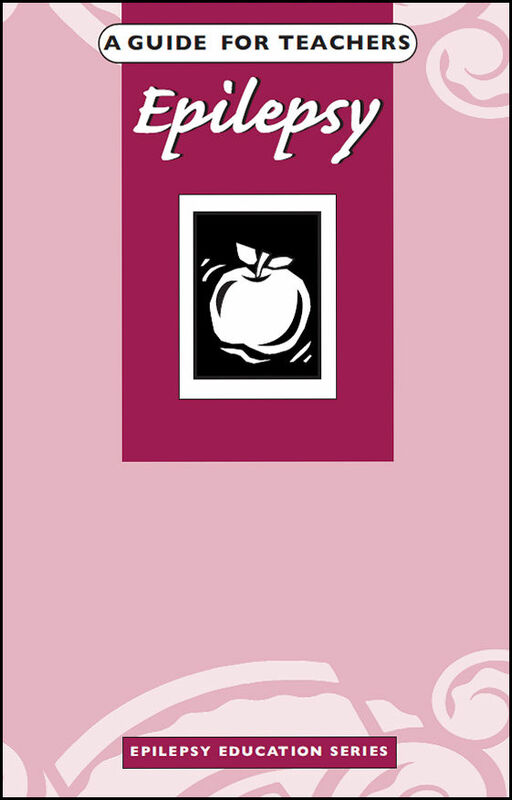 Teaching Students With Epilepsy: Strategies for Educators – This resource provides strategies for educators to teach children with epilepsy and learning problems as a result of their seizures. A Guide for Teachers: Epilepsy – This resource was developed in Canada. However, the content is good and gives an overview of epilepsy, seizures, the effects on learning and how teachers can help. 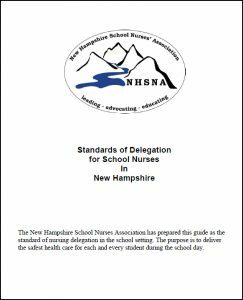 Presentation to NH School Nurses - What is delegation? When can it be used? 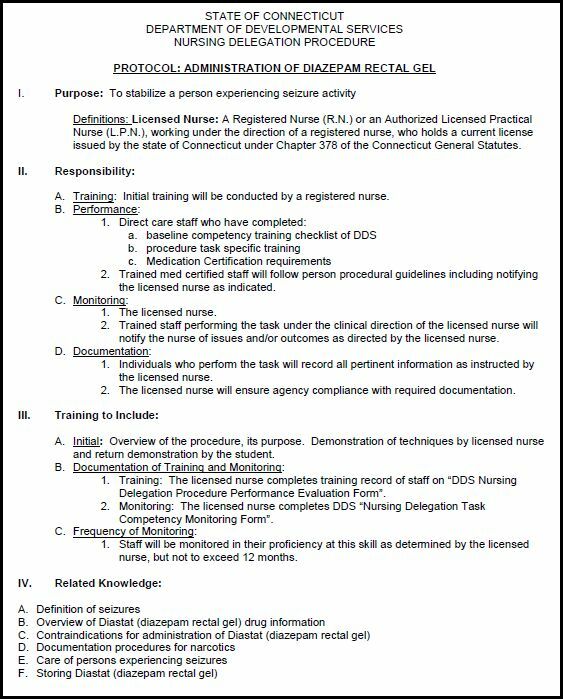 Tracey Collins, DNP, RN, CNRN, NEA, Member of NH Board of Nursing, Professional Development Director, Portsmouth Regional Hospital discusses the five rights of delegation. Emergency Rescue Medication - Dr. Richard Morse describes the emergency medications Diastat (Diazepam Rectal Gel) and Midazolam and their indicated use. A Demonstration of Seizure Rescue Medications - Kathleen Brady, RN, the Director of Nursing at the Monarch School of New England, demonstrates the administration of two seizure rescue medications, Diastat and Midazolam, using a training mannequin. Seizure Training for School Personnel Developed as a part of the School Nurse Training Program, the Epilepsy Foundation developed Seizure Training for School Personnel in response to the need for a consistent educational tool to help promote a positive social and educational environment for students living with seizures and epilepsy. Classroom teachers, special education teachers, librarians, teacher assistants, school bus drivers, aides and other staff members or volunteers in grads K-12 can all benefit. Managing Students with Seizures is a continuing education training program designed to provide the school nurse with information, strategies and resources that will enable him/her to better manage the student with seizures by supporting positive treatment outcomes, maximizing educational and developmental opportunities, and ensuring a safe and supportive environment. 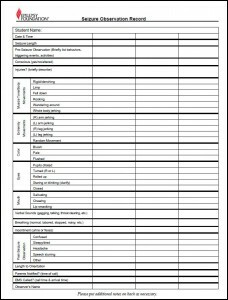 The Managing Students with Seizures: A Training for School Nurses program is divided into three modules to assist the school nurse in learning to effectively manage seizures in a school environment.